Pre-Order Now and Don't Pay Until June 25. From the old days of mobsters in smoky barrooms plotting to gun down their rivals, to the new age of ordinary people hiring contract killers through the Dark Web, this book depicts the history of assassins and how they work. While movies portray assassins as glamorous, wealthy and full of mystery, the sober truth is often quite different. The number of homicides credited to contract killers each year is staggering, and on the rise: business people killing their rivals, organized gang war kills, honor killings and even cold-blooded kills between spouses. 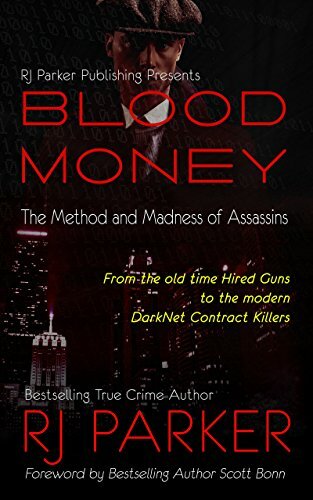 In Blood Money: The Method and Madness of Assassins, RJ Parker documents over a dozen infamous cases of professional assassins including Richard Kuklinski (The Ice Man), Charles Harrelson (Natural Born Killer) and Vincent Coll (Mad Dog). 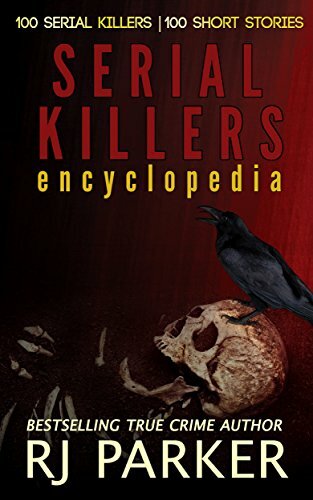 Included is also a riveting foreword written by Dr. Scott Bonn providing his reasoning why an assassin is not considered a serial killer in the professional community. RJ Parker, PhD, is an award-winning and bestselling true crime author and publisher of RJ Parker Publishing. He has written 26 true crime books which are available in eBook, paperback and audiobook editions and have sold in over 100 countries. He holds Certifications in Serial Crime and Criminal Profiling. Parker amazes his readers with top notch writing and idealist research.